Port Alberni Junior Hockey Society PRESS CONFERENCE AUDIO, Interview on THE PEAK tomorrow AM! Click the below link for the full Press Conference audio, including the Question and Answer period. While you won't be able to hear some of the questions, I'm hoping even just hearing the answers will help people understand everything going on. ...Society has been formed, and is a legal entity now in Province of BC, formed for purpose of purchasing the majority ownership of the Alberni Valley Bulldogs who own 51% of the team. 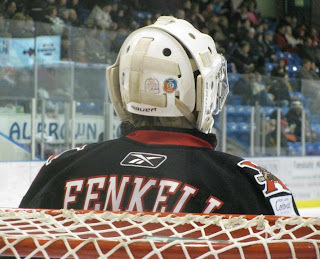 100% ownership of the team is the goal, however the minority local owners of Dennis See/The See Group of Companies and Dr. David Ness have indicated they would be happy to stay on as owners should the society not be able to secure anything more than the funds required to purchase the majority ownership from the Okanagan Hockey School / Okanagan Hockey Academy. The board is now forming fundraising committees to embark on an aggressive 45 day campaign to gauge the support of the people of the Alberni Valley, setting an initial goal of 500,000 to be raised by June 1st with further efforts to reach the ultimate goal of 1,000,000. Alberni Clayoquot Community Futures has approved a 50,000 refundable loan to kick off the campaign with seed support also pledged by the board of the 2009 World Under 17 Hockey Challenge. Good crowd on hand for today's Presser. Details/Audio to follow so be sure to check back. 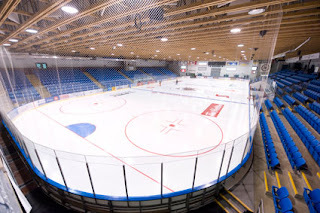 The newly formed and registered Port Alberni Junior Hockey Society (PAJHS) invites all media and interested people to attend a press conference on Thursday April 19th at 12 noon in the upper lounge of the Alberni Valley Multiplex. The purpose of this press conference is to give the Port Alberni Junior Hockey Society the opportunity to announce its goal to purchase majority ownership in the Alberni Valley Bulldogs Junior A Hockey franchise and hence make this a truly community owned team. The Society will introduce its inaugural Board of Directors and their plans for an aggressive short term fundraising campaign. They will be calling on the citizens of the Alberni Valley, Bulldog Alumni and all Bulldog and community supporters far and wide to come forward with ideas and participation. Please plan to attend this important community announcement. Details, rationale and further information on how people can get involved and support this initiative will be shared on Thursday April 19th at noon. 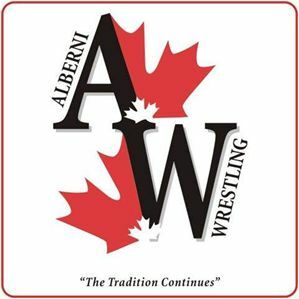 Five wrestlers of the Alberni Valley Wrestling Club travelled to Fredericton to compete in the 2012 Cadet/Juvenile National Championships this past weekend. 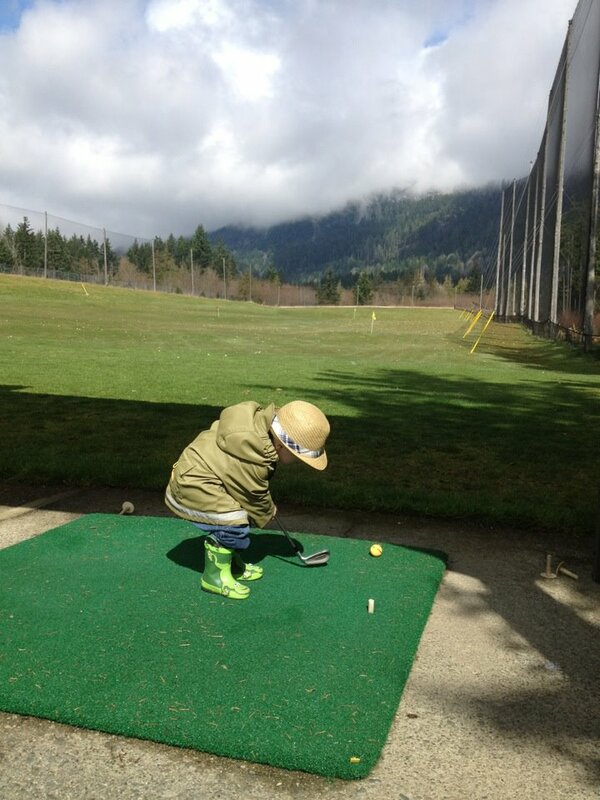 They were joined by coaches James Messenger and Chris Bodnar and pairing master Richelle McKenzie. The club’s results were outstanding with all five wrestlers finishing in the top six in Canada. Grade 12 wrestler, finished Daley Forbes finished her high school wrestling career in style winning the gold medal and the title of National Champion for the third straight year. Competing in the 75 kilogram Juvenile (17 & 18 year olds) Girls Division, Daley was dominant throughout the competition. This was the fourth year in a row that Daley was in the National Championship finals. “Daley has been a very reliable performer for our wrestling team. She demonstrated that once again this weekend. Her consistency is a testament to the fact that regardless of the tournament, regardless of her opponent, she sticks to her game plan and wrestles for the positions she needs to be in. It isn’t the flashiest wrestling style out there but it certainly caught the attention of some of the university coaches who were in Fredericton recruiting members for their varsity programs. At this point Daley isn’t sure what she will do next year but we are all hopeful that she will continue to pursue both her education and wrestling.” commented coach James Messenger. Fredericton was the first trip to the National Championships for Grade 9 wrestler Nolan Badovinac. Badovinac did not let his inexperience show as he went undefeated to claim the title in the 72 kilogram Cadet (15 & 16 year olds) Boys Division. Grade 10 wrestlers and twin brothers Jordan Wagner (5th Cadet Men 54 kilograms) and Jesse Wagner (6th Cadet Men 50 kilograms) found themselves in two of the toughest Cadet weight classes of the tournament. They each won multiple matches against tough opponents but a couple of hard fought losses resulted in them being held out of the medal rounds. Another focus for the local club and their supporters is a three week trip to Europe this summer. Forty people leave Port Alberni on July 26th and fly to Prague in the Czech Republic. The group will visit Munich Germany, Saltzburg and Innsbruck Austria, St. Moritz and Zurich Switzerland, Vaduz Liechstenstein and Paris France before finishing their tour in London during the Olympic Summer Games. The group returns on August 13th. More information will be released later on this exciting tour. The most immediate event coming up for local wrestlers is their Annual Awards Night Thursday April 26th 7 pm at the Italian Hall. Wrestlers, their families, and all supporters are encouraged to make plans to attend. Clearly the Alberni Wrestling Program has much to celebrate. Finally got a chance to get out to check the action today...busy busy weekend, got a round of golf in on Friday, and headed with the fam down to Tiger Lilly Farms yesterday. Great times, great weather! Dogs Spring Identification Camp kicks off today, Season Ticket Renewal deadline NEXT WEEK! Teams are assigned their dressing rooms until Saturday night. Dressing rooms will be locked over night so players can leave their equipment in the rooms if they choose. After last game on Saturday, players will need to take their equipment as new teams will be created for the games on Sunday morning. Sunday rosters will be made available Saturday evening. And one more item before I go - a note from the Bulldogs Office - 2012-13 Season Ticket renewal deadline is TUESDAY, APRIL 17th. If you don't get in touch with the office to indicate you are renewing your seats you are at risk of losing them to ticket holders that have already renewed next season who are looking to upgrade their seats! So get into the office ASAP or over the weekend or call them at 250-723-4412! The Bulldogs begin the process of searching for some diamonds in the rough tomorrow (and identifying players for the future) with their Alberni Valley Spring Camp. They will also hold camps in Quesnel at the end of the month, and in Osoyoos in early May. Get down to the rink and check out some hockey, admission is free! 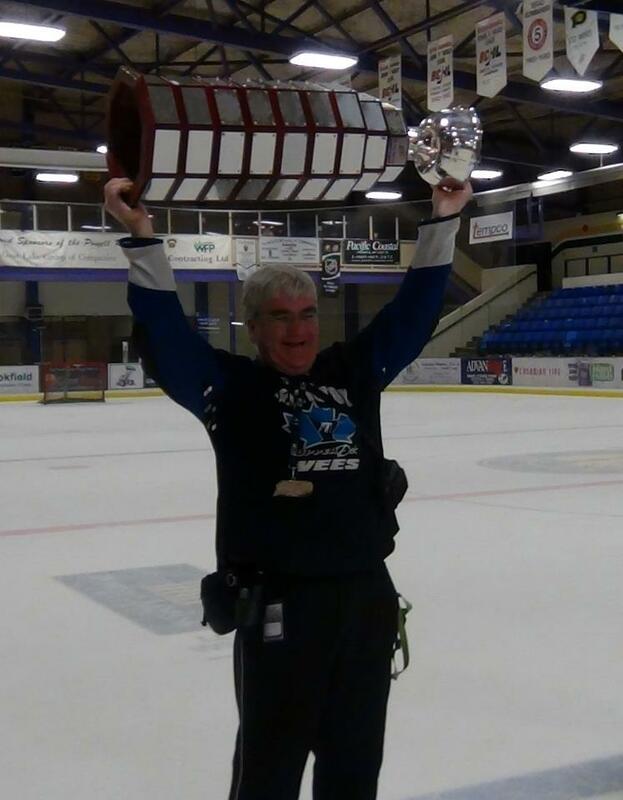 Great picture from the Vees facebook page of my buddy Murray Maxwell from the Vees support staff raising the Fred Page Cup last night in Powell River as the Vees swept the Kings with a 3-2 win. Congrats to the Vees, and good luck against the AJHL Champs, either Fort Mac or Brooks. The Bulldogs are represented on both sides of the series, with Mike Puddifant on Fort. Mac and Dylan Nowakowski and Tanner Hicks play for Brooks. Tough luck for the Kings, losers of the Fred Page Cup series four straight years and now two straight years going down in four straight. 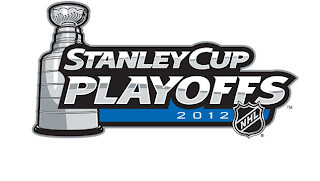 The Kings should be proud of their accomplishments, this year and in the four previous years. Having said that, it has to seem pretty hollow at this moment being so close yet so far away. The quote of the day today comes from a Vancouver Newspaper - I didn't read the paper but it goes something like "it was only fitting that Dustin Penner scored the winner, as the Canucks were flat as a pancake all night"
If you aren't aware, Penner injured himself this year while eating pancakes for breakfast. And WOW were the Canucks ever flat! It could have been 5-0 five minutes in if not for Roberto Luongo. 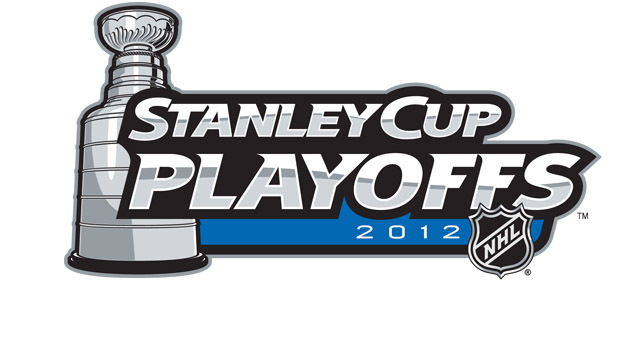 The Kings looked like a Sutter coached team, while the Canucks looked like...nothing good for the most part. Here's hoping they find some urgency and intensity for tomorow, or this run could be a short one. The first MEN'S NIGHT of the season goes tonight at the Alberni Golf Club...it's tonnes of fun, with great food, great prizes, and the course is in great shape! Get out there and have some fun! That's my little guy Griffin above, still a little young for Men's Night, but I'm training him. Thanks to Bruce for the mini-club! The Alberni Valley Bulldogs would like to announce that 91 G Max Fenkell has committed to the NCAA hockey program at Bowdoin College in Brunswick, Maine. The Bowdoin Polar Bears play in the NESCAC, the premiere conference in NCAA Division 3 hockey. 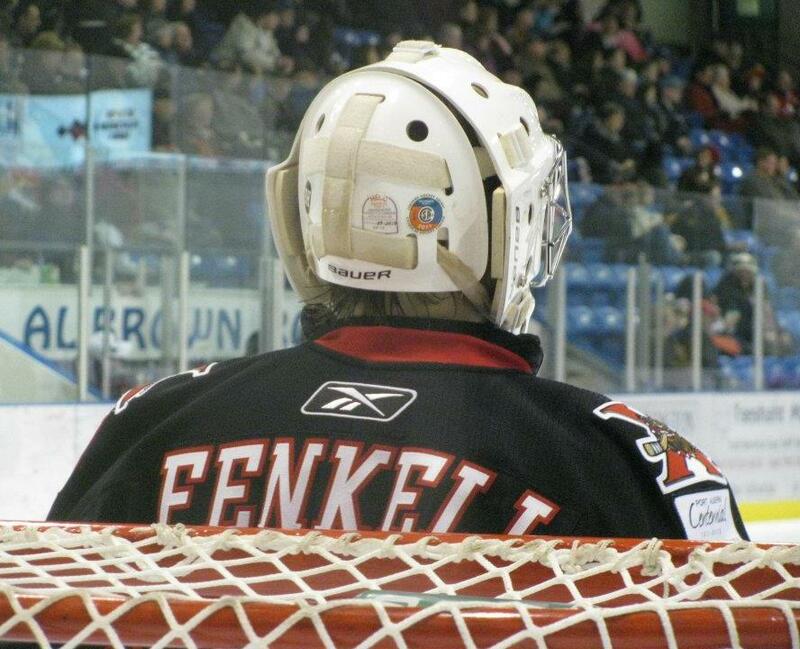 Fenkell will suit up for the Bowdoin Polar Bears in the 2012-2013 season. The Alberni Valley Bulldogs organization wishes Max the very best while at Bowdoin College and in all his future endeavors. For more information please contact Assistant Coach Adam Hayduk at 250.723.4412 or adam@albernivalleybulldogs.ca. Huge congrats to Max...I love being involved in the game for stories like this, where persistence, attitude and perseverance win in the end! Alberni Valley Minor Lacrosse are still looking for players in all divisions. If you are thinking about trying your hand at Lacrosse, get out and check out their free TRY IT session tonight from 5:30 to 7:00pm at Glenwood! For more information, check out their website HERE and to sign up head to Home Hardware anytime!